The West Quarter had, by the 19th-Century, changed from a wealthy merchant area, to one of the poorest and most run down parts of Exeter. However, its previous existence had left a legacy of high status, and interesting, historic buildings. Unfortunately, the inhabitants of the area, in the first part of the 20th-Century, were totally disinterested in the history and only wanted their living conditions to be improved. Who could blame them. 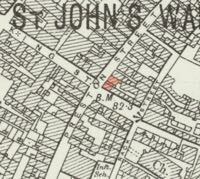 On the corner of Preston and King Street was what appeared to be just another slum property, with a few ancient features. In 1914, the City Council purchased the building with a view to clearing the area. In 1915, they sent a photographer to record the building–the photographs revealed a building far more interesting, than originally thought. It had many Norman mouldings, one over the door, and stone decorative strips at the base of the interior walls. The house had many 16th-Century features, including Tudor plaster work ceilings and a collar-braced roof. It was for the Norman features it became known as the Norman House. It was not until 1921, that the City Council turned its attention to what was becoming a dilapidated, and dangerous, building. Mr A L Radford, from Bradninch, offered to lease the house for twenty-one years, if the council restored it, at an estimated cost of £600. He was of the belief that it was predominantly a Norman house and speculated that it would have been alarge, single room–the restoration would display the roof, by returning it to a single large hall. His intended use was as a showroom for a trade appropriate to the building. The medieval, architectural historian, Harold Brakspear was called in to inspect the building, and advised that it be mostly 15th and 16th-Century in origin, with some Norman features. When asked whether it was worth restoring, he stated “Certainly, it’s worth while: especially in view of the financial offer the Council have received." After considerable debate, Mr Radford’s proposal was adopted and a start made on restoring the house, supervised by the city architect, Mr Bennett. Two years later, in October 1923, the Norman House was formally opened by the Mayor. It is unclear whether one of the Tudor ceilings, that had been removed to be stored at St Nicholas Priory, was returned to the building. A second with a Tudor rose and fleur-de-lisdecoration remained in an upper room. The house had been divided into two, during the 15th-Century, with, on the upper floor, oak posts and oak cross beams which were then plastered–a very expensive form of plaster and lath. There was oak panelling down each side of the passage way that divided the house on the ground floor. Two doorways, an open timber roof, a stone cornice carved with a chain or interlaced lozenge pattern, and a fireplace were all retained, along with the Norman stonework. In 1930, the executors of Mr Radford wrote to the council asking if they would surrender the lease for the equivalent of five years rent. The council turned down the offer, on the basis that they would not in effect shorten the lease, just because it was convenient. It does not seem to have occurred to them that the house would likely remain empty, as its main advocate was now dead. Nothing more appeared in the newspapers, up to the Second War, about the Norman House. 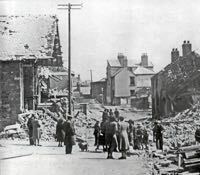 The raid of 4 May 1942 damaged and destroyed many of Exeter’s finest historic buildings. 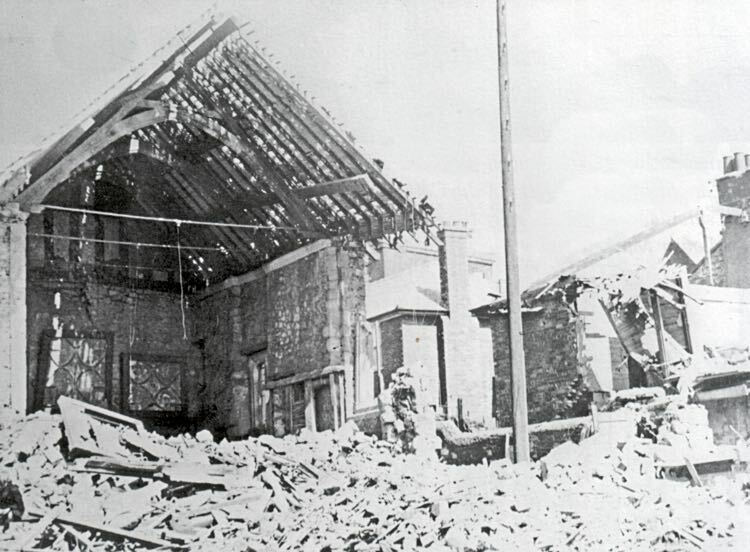 The Norman House was on the edge of the damage in the city, but unfortunately, half of the building was destroyed by the blast of a single bomb. The remaining half, including the roof was left standing, but damaged. 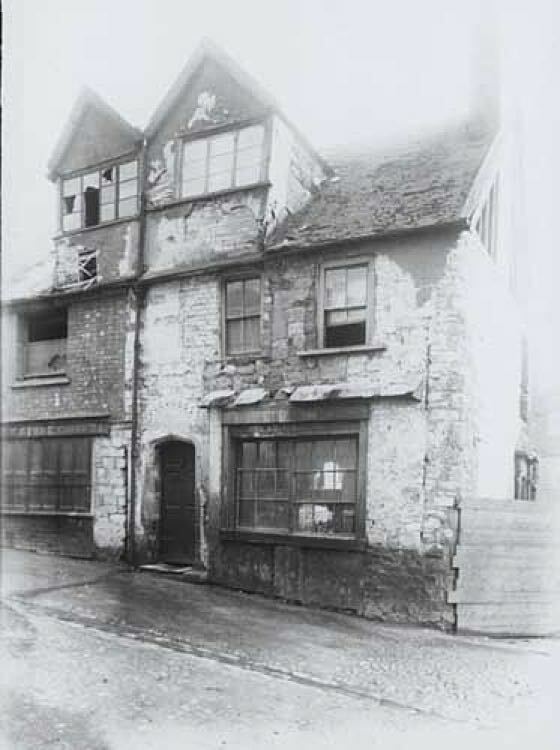 Nothing was done to the site until after the war, when it was decided to demolish what remained–and thus, another small part of Exeter’s heritage was lost. Some fragments of the Norman stonework were saved and can now be found on display in the RAMM. When the house was first discovered a fierce debate broke out among architectural historians as to which period the house really belonged. 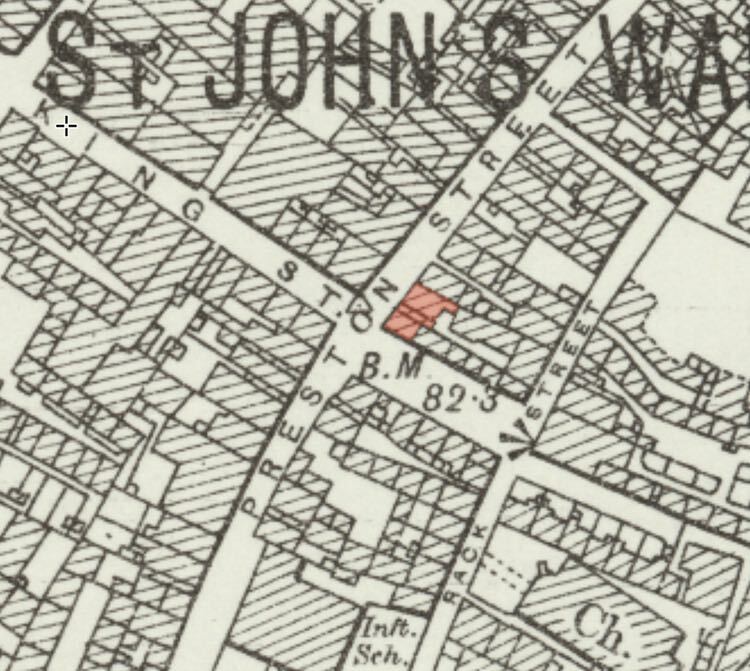 Miss E K Prideaux claimed that sections of Norman Heavitree stone wall were undisturbed and indicated an original rectangular building. 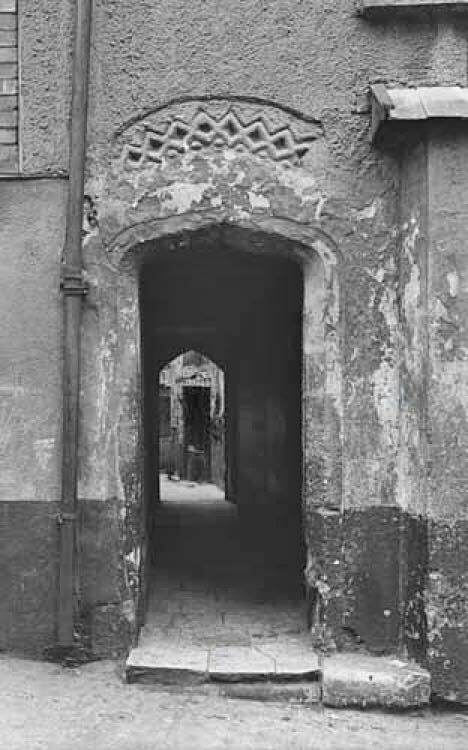 There was also a Norman entrance archway, over a Tudor style arched doorway, on the north-west side. A section of window and a section of cornice were thought to be Norman in Origin, as well as scattered bits of Norman masonry embedded in the walls. 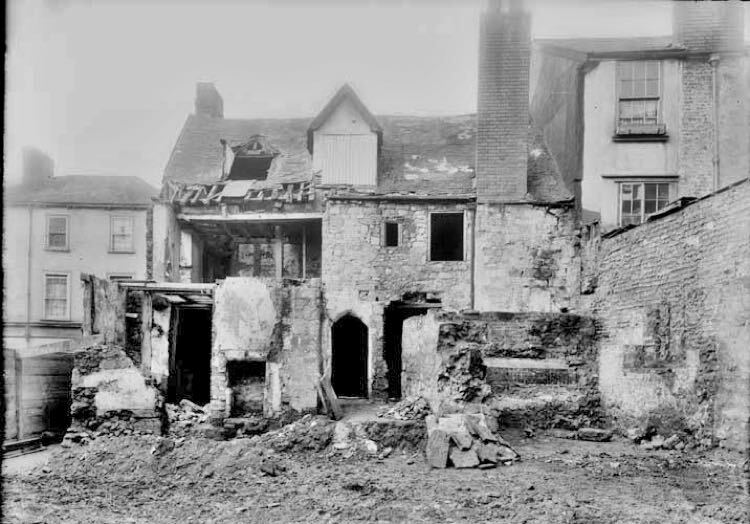 Derek Portman, in his book Exeter Houses 1400-1700, suggests that as much of the house was constructed with Heavitree stone–and some purple volcanic-trap–a material that was not widely used in Exeter, until the end of the 14th-Century, that it was post Norman. He suggests it was 15th-Century building, with the reuse of pieces of Norman architectural salvage, possibly from St Nicholas Priory. The 15th-Century features, that remained, included two Tudor ceilings, one on each floor. 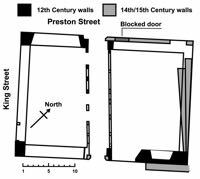 If the base Norman structure consisted of one large room, then it was divided into two dwellings, with the through passage in the 15th-Century. The two cocklofts in the roof also date to the construction of the collar-braced roof in the 15th-Century. 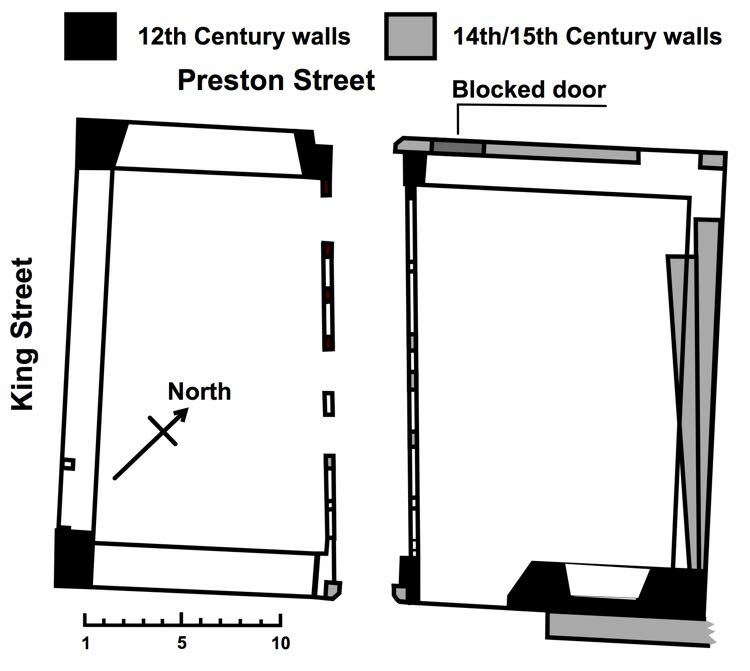 The plan (see right), made at the time, shows Norman corner walls forming a rectangular base, and a later, slightly lozenge shaped base, of 15th-Century walls. As the house no longer exists, one can only speculate as to the truth, but it does suggest that a Norman structure was built over in the 15th-Century. 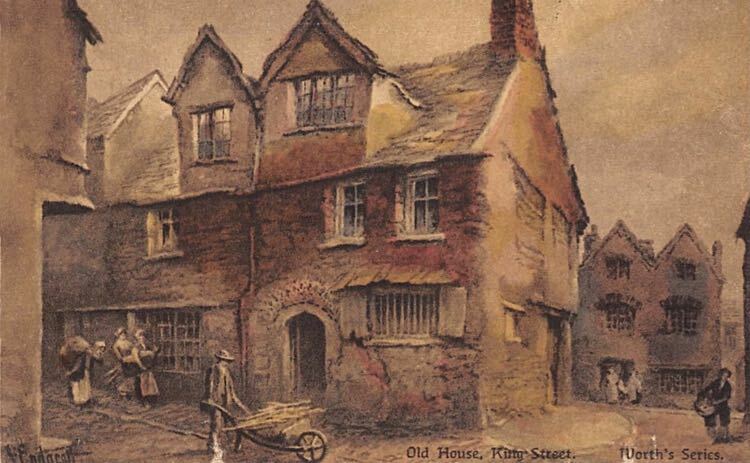 Source: Exeter Houses 1400-1700 by Derek Portman, Western Times, Exeter and Plymouth Gazette, Red Guide to Exeter 1928/9. The Norman House in Preston Street. The door and passageway in Preston Street. 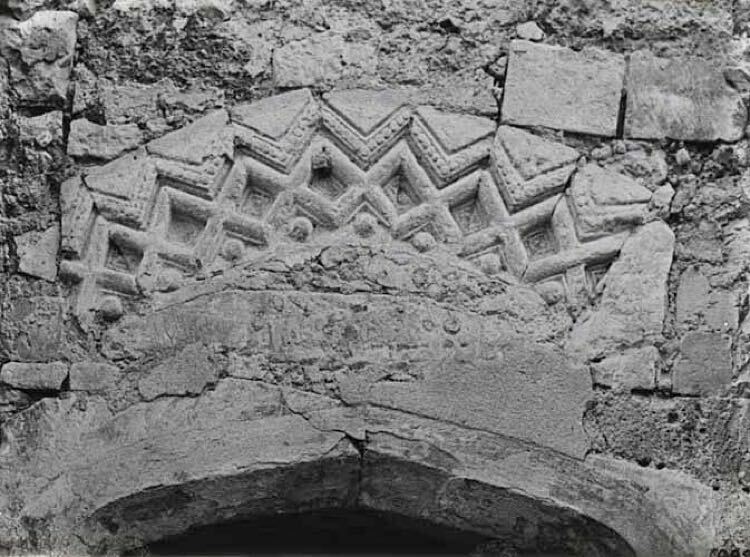 Detail of the decoration over the door. Copy of a plan made during an archeological excavation. Postcard from a painting by John Endacott. The interior was exposed by the damage from bombing in May 1942. 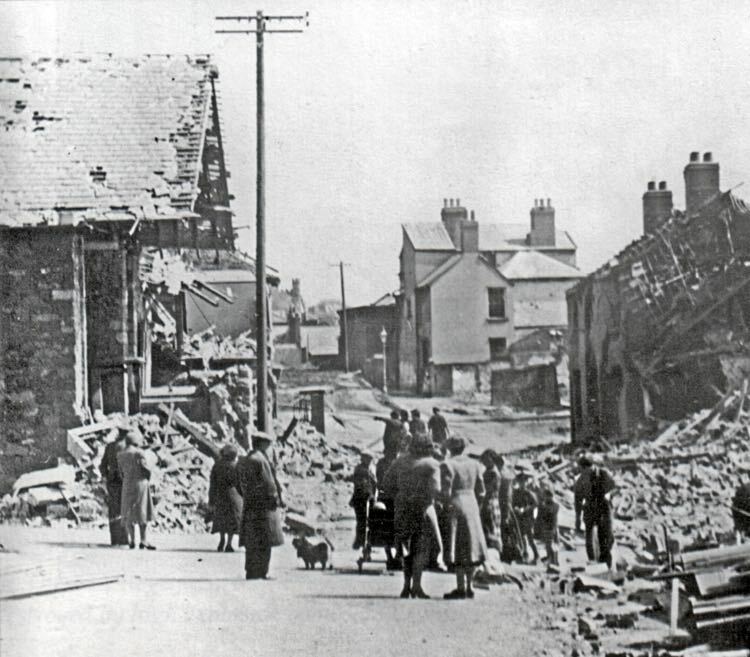 The remains of the house on the left looking along King Street towards Rack Street.